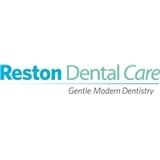 Reston Dental Care (Reston) - Book Appointment Online! Reston Dental Care offers high quality, affordable modern dentistry services. Our dental office can provide care for common dental problems as well as advanced dental care services including: Preventive Cosmetic Restorative Sedation Dentistry Endodontic (root canals) Orthodontic services include INVISALIGN, the invisible braces, and crowns and bridges using the latest equipment and technology? Digital x-rays combined with chair side computer? technology and intra-oral digital cameras can provide? you with a level of understanding about your dental condition previously unavailable. We realize that technology and excellent dental skills alone do not ensure a positive and lasting experience in a dental office. Honest communication and a trusting relationship are vital to the equation and that is always our ultimate goal. My mother really enjoyed her visit with Dr. Cheung. Dr. Cheung explained what needed for my mother and provided all the information for future works. My mother felt at ease and my family will be starting to come here. Thank you .